Occasionally my job requires that I travel. This week is one of those weeks. Although traveling is often annoying and can be quite draining - it also creates an interesting dynamic for enhanced productivity. Being away from home removes all distractions. 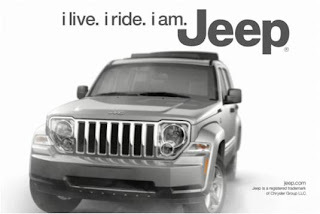 It removes all the usual habits of leisure, comfort, and fun. Traveling to a foreign city thus creates a short-term boost of productivity. It creates an environment designed for focused work. Over the long-term, travel would have major morale implications - but during the timeframe of a few weeks it can be quite beneficial. Travel time is an output-oriented effect created by the disruption of the norm. No longer are things just things. All sorts of objects are now marketed as an integral component of a wider, complementary lifestyle. The type of refrigerator you buy, the type of car you drive, and especially the type of home you live in signal, both to yourself and to the world, exactly what type of person you are. All of these purely inanimate things are now both the cause for and the result of a particular life path. Although advertisers have leveraged this reality for some time now, the standard approach has been to link particular products to one's level of wealth, to one's material status. Today, a car can signal wealth - but it can also signal an outgoing lifestyle, a conservative lifestyle, an urban lifestyle, a rural/rugged lifestyle, etc. The same goes for nearly all widely advertised objects - from toilet paper to personal jets. This is neither good nor bad. It is part of the materialistic culture which still dominates our society. But it does present both a challenge and an opportunity to those looking to produce and market virtual goods - the backbone of new economic models developing on the web. Most websites have a terms of service - also known as a user agreement. The terms of service represent what the user of a particular website accepts in regards to the reality of that website - restrictions, ownership, liability, etc. Terms of service are the law of the land for any particular online destination. Terms of service are often quite long and quite boring. They are full of legalese and are rarely thoroughly read by anyone. They often require explicit agreement by the users and have very interesting guidelines. Because few actually read the terms, few actually care. But as the Internet continues to grow into the only important global communication and commerce infrastructure, we're all going to start caring a lot more about the terms of service. The real-time web refers a broad set of Internet-based services that enable instant digital communication. Some elements of the real time web have existed for a while now - e.g. real-time one-to-one and few-to-few forms of communication such as Instant Messaging and Chat. But over the past couple of years the Internet has experienced the quick proliferation of one-to-many real-time communication - i.e. Facebook, Twitter, etc. Along with digital communication, digital goods have also enabled real-time transactions. iTunes is the prime example of a real-time commerce application where a quick transaction brings upon instant gratification. Anyone can purchase a song, movie, or software within seconds. The real-time web has significantly improved the Internet - it has fostered many new forms of communication and transaction. But the real-time web also introduces new risks that the old, more static web didn't suffer. Since data can spread instantly, misinformation can reach many people before it is proven to be false. Rumors are thus experiencing a Renaissance within this new reality. In the financial realm, the real-time web gives bad guys the ability to quickly perform hit-and-run scams. Money laundering and other transnational schemes can flourish before anyone realizes what's going on. So what we have is typical to most human innovation and evolution - the new technology that is quickly misused. But this time things may be different. The real-time web is quickly becoming the foundation of the new Internet. It is here to stay and so are those who attempt to misuse it. We must realize that real-time is both a gift and a huge challenge. The real-time web is the battlefield of the future. Holiday parties are a tradition for North American firms. Every year, all employees and their "+1" enjoy eating bad food and consuming free alcohol. The setting is usually tacky but the mood is always cheerful. These parties are sometimes extravagant but have recently taken a humbling hit during these recessionary times. I believe that it is a mistake to cancel the annual holiday party. These events are more than just a reward for a year of success - the parties serve to humanize all layers of an organization. There is something both empowering and communal about seeing one's boss drink a beer or dance with his wife. The holiday party gives new perspective to those who attend - usually this is quite good for any company. I was struck by the image of our President, Barack Obama, bowing to the Japanese Emperor during a recent visit to Japan. It was strange to see the most powerful man in the world show such an extreme gesture. At first, I wasn't happy about this prominent sign of potential weakness. Should our President ever bow to anyone? Does this weaken America's position in the world in some way? But as I kept looking at the exquisitely expressive image I realized that weakness was nowhere to be seen. Quite the opposite - Obama's sign of deference gives him instant credibility. It shows careful planning, a deep understanding of Japanese culture, and a knowledge of history. Most importantly, this humbling act clearly won the respect of both the Emperor and Empress. "Unfriend" was declared to be the word of the year by the New Oxford American Dictionary. The word means to disconnect a link to someone within a social networking setting. Most discussion on this matter has focused on the merit of the word - i.e. if it is valuable enough to be added to a serious dictionary and thus near-permanently inserted into the English language. But I take this debate to be moot. The word exists and it is widely used. It's hard to predict the future, but for now it is an important concept. What intrigues me is the underlying reality that unfriend establishes. It depicts a world where friendship can seemingly be turned on and off with the click of a button. Although this might just be the digital method of a symbolic process which humans have utilized for decades, it connects a chillingly simple word to the deconstruction of a relationship. I love examples of creativity and innovation making old forms of media new and exciting. 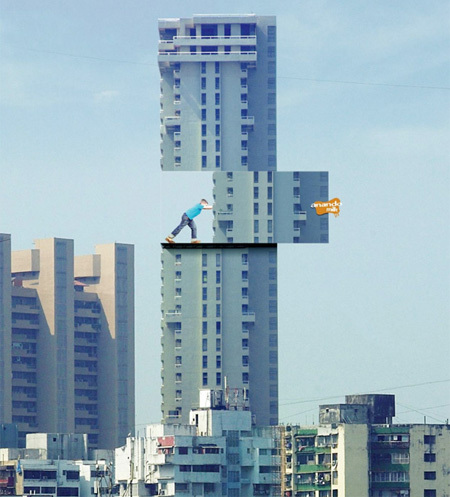 This recent showcase of outdoor advertising depicts just that. It is an obvious example of ingenuity making an old medium fresh, fun, and a bit surprising. In preparation of the 2010 soccer World Cup in South Africa, ESPN today released its Soccer Power Index. The index ranks the relative level of capability of national soccer teams. It was developed with the help of Nate Silver and is equipped to have predictive power - i.e. a higher rank indicates a greater chance of success during future matches. What does this mean? It means that soccer is finally hitting the tipping point of popularity in the United States. Football, baseball, and basketball have had similar ranking systems for years. It means that there is significant interest in this fun method for expressing athletic pride. It also means that ESPN views soccer as a lucrative investment. I'm fascinated by the power of nostalgia. This omnipresent emotion can distort and even reshape the past, present, and future. It is a comforting blanket that can be explicit or subtle. Almost as interesting is a concept much more unusual but maybe comparably prevalent: fake nostalgia or fauxstalgia. Fauxstalgia is similar to regular nostalgia in that it fosters a sense of comfort and happiness. But what makes fauxstalgia so unusual is that it creates a strong feeling for a time or place that we never actually encountered. For example, I occasionally feel nostalgic (fauxstalgic) for the Roaring Twenties or the Atomic Age of the 1950s. I was born well after these eras. Fauxstalgia is what turns Mad Men, Indiana Jones, and Gone With the Wind into hits. While nostalgia is a reflex, fauxstalgia comes from training - through pop culture and mass media. It is a projection of emotional perfection. Triggers of fauxstalgia are very powerful. It's refreshing to see our elected officials work over the weekend. Regardless of political beliefs, we should be encouraged by the fact that our government is willing to work through traditional days of rest in order to solve complex issues. When the most powerful organization in the nation is willing to push through, its citizens will follow suit. In this case, the extra-effort is a component that symbolizes the importance of the overall process. I went to Macy's today with the goal of purchasing a blue dress shirt. Blue is a standard, widely accepted color for young professionals such as myself. Because of this fact, there were at least 30 different types of purely blue shirts. They were all quite similar but also somewhat different - with slightly different patterns, textures, shades, shapes, etc. By now, most marketers know that too much choice can be counterproductive - that the customer gets overwhelmed and may choose nothing. I definitely felt this phenomenon begin to affect my decision-making process - since the energy needed to make a selection was nearly greater than the immediate benefit of getting a new shirt. I finally ended up selecting one shirt. But the choice was based on nearly pure luck and a conscious decision to not waste any more time comparing the different choices. In a world where time is more important than a physical good, how can digital goods even compare? I have an awesome one-year-old cousin. He is a very cool child that already knows how to hold a mobile phone, look into a web cam, and speak into a microphone. He is also part of a generation that will never know a world without Internet-enabled social networking - e.g. Facebook, Skype, Twitter, etc. What does this mean for the little guy? Reading and writing will be his primary means of communication. Those are just a few potential repercussions for The Facebook Generation. I'm not sure what this will mean for the world in twenty years - but I am sure that it will be different from today's reality. When it comes to visual design, no amount of planning, discussing, estimating, describing, segmenting, tracking, assuming, or conceptualizing can replace seeing. It doesn't matter what is viewed - it could be a rough doodle on a napkin - but that first glimpse of something tangible will anchor all future visual development. Much like in a negotiation, the first real image is like the the first offer. It is the launch pad for future discussion and redirectioning. The earlier that first visual is shared, the earlier that a real negotiation can begin.